If you are looking for quality, a classic feel and a timeless beauty, then a real hardwood floor is an affordable choice for your home. It’s an easy way to add charm and elegance to any setting adding beauty, warmth, value and good ambiance to your home. 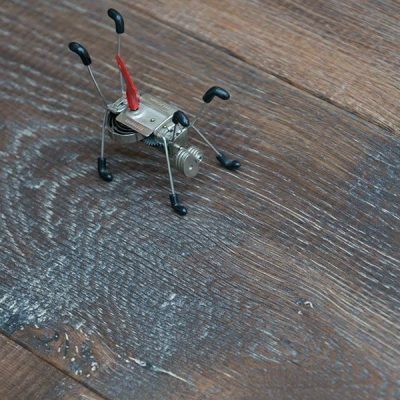 Though it offers so many benefits, many homeowners often find themselves comparing hardwood floors to other types of flooring. But with its alluring appearance and unbeatable sturdiness, here are some of the reasons why it is such a popular and sustainable option for so many homeowners. Value – Cost is often the first thing that buyers consider while making a decision in choosing the best floor that suits their home. Though hardwood can be more expensive than other flooring options, installing one in your home increases its value and typically they to sell faster than homes with wall to wall carpeting. Upkeep on the floor is inexpensive and it will also last a lot longer. Longevity – Hardwood floors will last years, V4 Woodflooring comes with a 35 year guarantee. The floors can be refinished to bring out their natural beauty if it starts to fade. However carpeting needs to be replaced on average once every seven to ten years, and one of the big differences between laminate and real wood floors is the life span of the floor. Laminate floors last a few years longer than carpet but does not last nearly as long as hardwood. Cleanliness – Wood is a better choice for people with allergic reactions. Installing carpets can trap in dust, dirt and allergens but with hardwood that won’t be a problem. Stinky odors from carpets may become part of your home, introducing themselves to everyone who walks through your door. But with a real wood floor they do not hang onto odors, or hide dust, dirt, hair and other particles as a carpet does. And they are great if you have pets or children. Installation – Hardwood takes little more effort than laminate or carpets when it comes to installation and done well, and with the sturdiness and lasting quality of a real wood floor, the end results are worth the work of installing these quality boards. Overall, if you’re thinking about installing a real wood floor you should consider the expense as an investment in your home since it will add a lot of value if you ever decide to sell, but is a lasting and beautiful finish for the years you do live there. Though hardwood can be a bit more expensive than some other floor options, it will also add more value to your home than many other types of flooring.